Live Entertainment every Friday and Saturday! Cardo's Pizza & Tavern provides live music each week where we bring in to most popular bands in Central Ohio. Check below for to see the latest schedule. Real Live HumansFri. 26 Apr, 2019 (7:00 pm - 10:00 pm)Live Music Real Live Humans will be performing live at Cardo's starting at 7:00pm. It's an acoustic performance with a twist of rock, pop, country and soul. Don't miss out on great music, delicious food, and a huge selection of draft beers. Green 13Sat. 27 Apr, 2019 9:00 pmLive Music Get your pizza with a side of Green 13. Goes great together! REMEMBER! You can bring the whole family! Brad MooreWed. 1 May, 2019 (6:30 pm - 9:30 pm)Live Music Come on out and enjoy the acoustic performance of Brad Moore while eating some delicious pizza and having your favorite drink. Whether it may be a holiday event, brewery event, major sporting event, etc will have it listed here! Cardo's Pizza & Tavern provides entertainment where we host events such as a brewery tap takeover, special holiday events, run specials during major sporting events, and much more. Check below for to see the latest schedule. Firkin Friday with Endeavor Brewing Co.Fri. 10 May, 2019 9:00 pmFirkin Friday The second Firkin Friday of our Spring Firkin Friday Series! Endeavor Brewing Co. will have a Firkin specially brewed for this event. Tapping ceremony will start at 7:00pm. During the Firkin event, Endeavor will be doing a tap takeover as well. Music during the event will be performed by Dan Orr. Cardo's Annual Golf OutingSat. 6 Jul, 2019 (All day)Special EventsWe have the date set for July 6th, save the date and check back soon for more information. 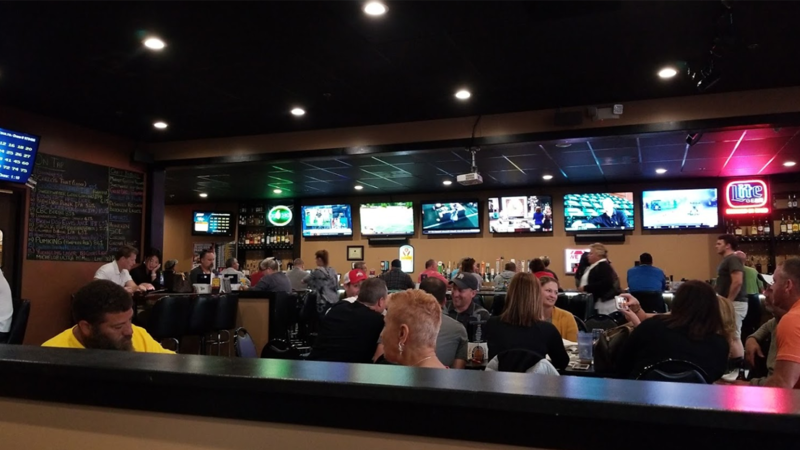 At Cardo's Pizza and Tavern you will find the perfect atmosphere for taking in your sporting events. We deliver major sporting events for your enjoyment on our 119 " High Definition TV and other screens thoughout the Tavern. When your looking for a great hangout to be with friends and family keep us in mind and remember this; There is no cleanup messes after your done! So bring your friends. Bring your family, and bring your good times to Cardo's Pizza and Tavern and let us provide the food and fun. All games are subject to Ohio Lottery rules and regulations and you must be at least 18 years of age to play. All images depicted on this page of games, logos, titles are trademarks of the Ohio Lottery Office. Visit the Ohio Lottery website for rules, regulations, and discriptions by clicking HERE.